As you may know I am dieting, If you didn’t well now you do. I’m heading to America for near 3 months as of June and when I’m there I want to feel my best in swimwear. In desperate hopes I’ve turned to Slimfast since nothing was working for me. I always thought Slimfast was a gimmick, that it didn’t actually work and I would probably be wasting my money. I’m currently in week 3 (having missed a few days due to emotions and hangover, student life eh) but in my first week I lost a total of 7lbs! I’m over the moon and totally motivated to keep it up for the next few months before I leave. Since I know so many people are wanting to diet but don’t know where to start, especially with Slimfast since it can be quite confusing. I thought it would be great to let you guys know what I eat during the week of dieting. Dieting isn’t easy and anybody who says it is, they lie, don’t be friends with them. You don’t wake up every single day completely motivated to lose weight or even want to lose weight. I definitely don’t wake up instantly feeling positive and ready to run 10 miles (those who do, I salute you). It’a really bloody hard and the best thing I find is to have motivation, a goal to pursue. Mine is NYC and to feel good in my own skin although Matt disagree’s and often attempts (sometimes achieves) for me to go off plan by teasing me with take aways and random suprise cakes that he has bought for me (best boyfriend ever). How does it work? Well, Slimfast is a 3, 2, 1 process. You are able to have 3 snacks a day, 2 meal replacements (shake or meal bar) and 1 600kcal meal whilst drinking plenty of water. So, if you’re really interested in what my week of food looks like whilst I diet, continue to read! Depending on whether I’ve gone out during the weekend and had a few drinks I may have been off plan for a few days, therefore Mondays are usually quite well. I’ll start my morning with a shake which is normally banana or vanilla but sometimes chocolate. I’ll use the blender to mix it as I like how frothy it gets rather than manually shaking. On average I eat around every two hours, so I’ll then have a snack. This could be either some fruit, a boiled egg or even a Slimfast snack either the cheese bites, sour cream pretzels or the snack bar. After this I will have finished lectures so I’ll head back home and make myself a 600 kcal meal. I usually have my 600 kcal meal in the afternoon as I find it fills me up slightly more than I would be if I had it in the evening. As you can see, today I made a homemade chicken curry with rice. If you’re interested in a recipe post for this meal let me know. Again, two hours later I’ll have another snack. 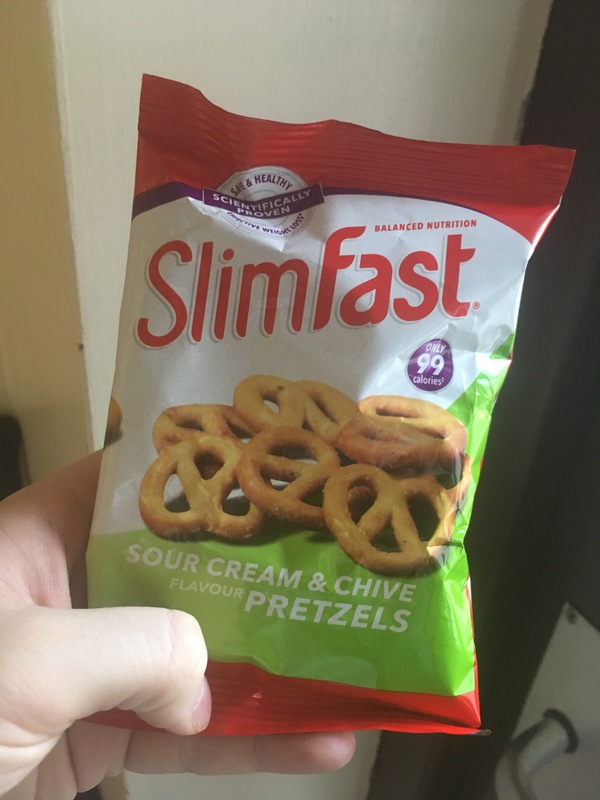 This time I went with the Slimfast bites because they’re my favourite. My final meal of the day was another shake. I probably ran out of the meal bars (they’re so good) which resulted in having two shakes that day. Right before bed I then had some fruit to last me throughout the night. I like to mix the order of my food up each day to not be in such a routine. Since I did have a shake Monday morning I decided to go with a meal bar whilst heading to my morning seminar. My seminar is only 1 hour long so at around 11 I’ll then have a slimfast snack, those bites mhmm. 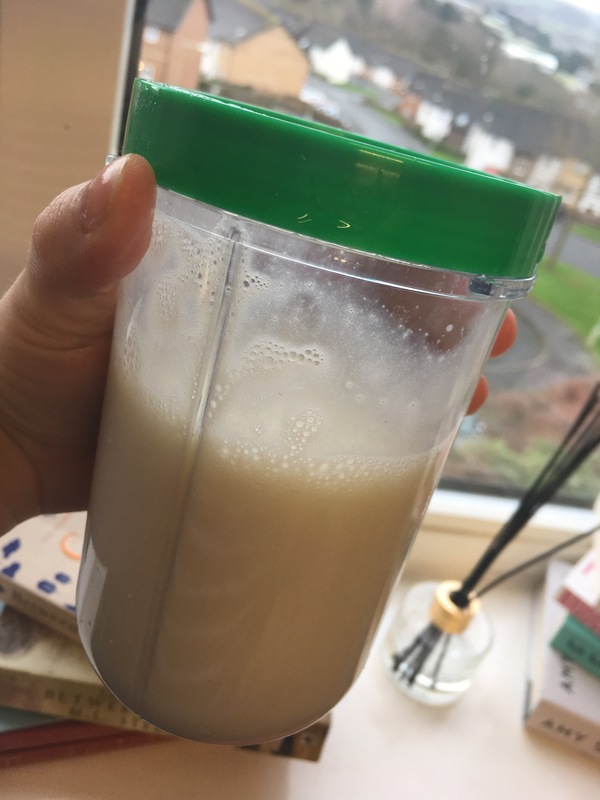 I then decided to go ahead and have a shake for lunch (usually between 2 – 4), again blending it up because well, it’s delicious that way! After this I then had some fruit. I’ve grown this obsession with kiwi recently and I just can’t get enough of it. It’s then time for my 600 kcal meal so I went ahead and made my favourite chicken, bacon and asparagus pesto pasta. As usual all homemade and healthy! My final snack of the day was the chocolate Slimfast snack bar and then Tuesday was complete! Tuesday nights are EduSoc (Education Society) social nights out when we all head into town and have the best night. However, as fun as this may seem it does mean that I’m off plan and probably going to demolish a subway when I get back into bed. Fortunately, this week I avoided this by going to the sober social instead and slept peacefully knowing I hadn’t failed myself! Wahoo. Wednesdays are quite an odd day for me since I am free all morning until midday when I have a one hour seminar and then I’m free all afternoon. So, since I was able to have a lay-in I went and made myself a shake and a green tea. I do usually like to have a green tea in the morning if I have time and since I did today I went with a mint green tea as they are my favourites. After this I’ll have a snack whilst at the library, running errands or doing chores it just depends where I am or what I’m doing that morning. This time I went with the pretzels. Around 11:45am is when I’ll make my way to my seminar so on the way I’ll have a meal bar or if I’m not feeling hungry before the seminar I’ll have it whilst walking home, my favourites are the young fruit crunch. I followed my snack on with some fruit a few hours later and a big glass of water to keep me going until my next meal. I like to make sure I’m keeping myself distracted other wise I’ll definitely eat out of boredom and that is when it all goes down hill. By the time my 600kcal meal is due I’m most likely to be starving and this time I went with spaghetti bolognese with a small amount of parmesan cheese sprinkled on top. By bedtime comes I’ll probably be feeling slightly peckish again so I had some fruit and headed on my way to bed. Thursdays are my quietest day of the week. I have the whole day off and no lectures or seminars. So I pretty much just hang out at home and do things that I’ve wanted to do throughout the week. Usually I’ll catch up on further reading for uni work or even a book and watch some TV shows (I’ve been loving the Fresh Prince of Bel Air). General lazy days, these are the days that I am more likely to want to snack on bad foods or get a take away. However, today I done my best! Right now to stop my boredom I’m writing this blog post. For breakfast I went with a Slimfast shake and a few hours later followed by some fruit and a big glass of water. During this time I’ll do my best to distract myself. 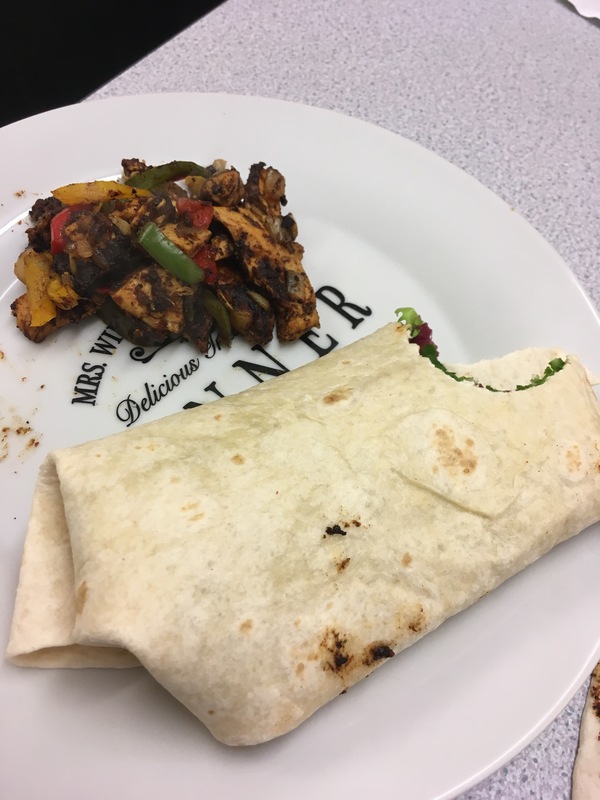 I then had my 600kcal meal to fill the gap, this time I went for chicken wraps with salad and my goodness they were delicious. I then had another slimfast snack and followed on by another Slimfast Meal bar and before bedtime some fruit. I really do struggle on Thursdays because my day is so wide and free that I’m more likely to fill my boredom with snacking on chocolate digestives or some other form of snack. If I do ever fail to resist my urges I like to go on the healthy side and have some fruit since I won’t feel as guilty for being off plan. Friday! Yay, the weekends can either go two ways. 1 – So well, I won’t have drank any alcohol or had a take away and I’ll reward myself with buying some new clothes or makeup. 2- I’ve drank my little heart out, got myself a takeaway on the way home in my drunken state and then I’ve really buggered up the whole weekend because I fail to get back on it with a hangover. Fortunately for me I managed to stay in this weekend whilst being the boring student that I am so I managed to stay on plan. I started my Friday morning with a shake and then followed on by a snack a few hours later. I don’t have any lectures until 2pm and I finish at 4pm. During the morning is when I decide whether I’ll have a meal bar first or my 600kcal meal, it literally depends on whether I can handle not eating an actual meal before a two hour lecture of special educational needs. This time I went with the meal bar and took a snack with me to my lecture to eat both throughout, simply because after an hour or so I do start to get distracted and I’ll be able to concentrate more when eating a little snack and have a big bottle of water too. After 4pm when my lecture finishes I’ll head home and write up any notes from the lecture and decide what meal I want for my 600kcal dinner. If I am staying in I still may result in a take away, depending on whether I’m spending the night with Matt. Sometimes I resist the urge and other times I totally fail and have to restart again the day after. I don’t mind having 1 cheat meal a week simply because I’m human and my body needs a little bit of bad food during the week. It’s who I am and sometimes I like to demolish a big mac and feel totally guilt free. To challenge myself I decided to go ahead and make my own fake-away (fake take away) and make chicken chow mein at home and feel a lot less guilt free than I would have if I had made the trip to the takeaway. During the course of the evening I’ll make sure to be drinking lots of water to fill the gap before my snack and eat some fruit before heading to bed. Win, Win, Win! Saturday arrived and now it’s even more challenging to commit to the diet simply because everybody deserves a treat at the weekend. It’s difficult to say no when your friends are heading out for a meal and you have to politely decline and sit at home wondering why I couldn’t have just been born at the ideal weight I want now. I’ll start my day out with a meal bar in bed whilst catching up on any bloggers chats on Twitter, scrolling through Facebook like it’s the morning news paper and generally just enjoying my day off. I’ll then have a snack following with water (you see the pattern I have?) and decide what to do with my day. If I find myself getting bored I may head into town or go for a walk around my little area. For lunch I’ll then decide whether to have a shake or 600kcal meal, depending on whether we are heading out for food that evening. If we are I’ll go with a meal bar and have a snack right before I get ready so I’m hungry by the time we go out. Depending on where we do decide to go I’ll go online and find their menu to choose which meal seems healthiest and under 600kcal so I can stay on plan. I’ll drink water and head home after unless you know.. My friends and I decide to get white girl wasted and enjoy our night. At this stage it totally depends on my good decision making or bad. I may have headed home and settled in for the night with some fruit or gone out and drank too much wine and cider and got myself a take away on the way back. I know, I’m such a bad person for enjoying my life too much. Sunday, ah! the end of the week. A fresh start. Wahoo! If I happened to make bad decisions the night before it’s likely that I’m attempting to cure my hangover with chocolate and crisps and attempting to stick to plan. In this case, I did make good decisions and I was able to stick to plan completely all day since I had no hangover. Yippee! I started my day with a 600kcal breakfast. I went for the full breakfast with your normal hashbrowns, sausage, bacon. You name it and i’ll have it (except black pudding, that stuff is nasty). I make sure that it’s cooked in fry light rather than oil as it’s a lot healthier and I prefer it. I don’t tend to have my 600kcal meal in the morning often at all, simply because I find myself more hungry and craving actual food in the afternoons than I do at any other point in the day. However, it’s a Sunday and I really do love a good full breakfast. However, I may decide to eat this later than normal so perhaps I should call it brunch instead. Like normal I’ll follow it on with a snack and then have a shake for lunch but ensuring that I keep them 2 hours apart each. With the 6 hours passed I’ll then have a meal bar and followed by some fruit before bed. I do like to make sure I stick to drinking plenty of water throughout each day and I find that water fills the gap and stops me feelings so hungry. There you have it! 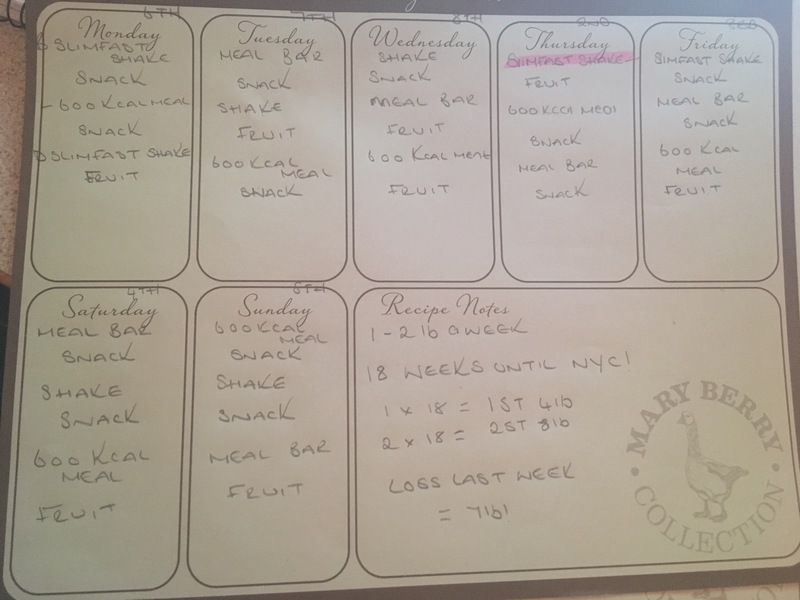 My full meal plan for an entire week on Slimfast, that is if I am able to achieve it. Let me know if you liked this post and would like me to do something like this again! BETHANDAVIESBLOG20 for 20% off at www.superpeach.co.uk (This expires 1st March 2017). Getting back on a diet after a cheat meal really is difficult and I for one really struggle the day after. Sometimes it either goes really well and I can get back on it straight away and other times I end up having another few little nibbles off plan and then I jump straight back on it. As I said before, I had a cheat meal like I do every Friday. I find having a cheat meal really beneficial as it helps to reduce my cravings for bad foods and fills the empty gap I have of wanting chocolate and pizza. I know some people cant have a cheat meal because they fall straight back down and struggle to get back on their diet and it’s normal for many and even I sometimes cant resist my urges to binge each. To help this I have a few little tricks that I do to help resist my urges and jump straight back on my diet. Firstly I like to drink a lot of water. I find that my mouth gets dry very easily and at this stage before I started dieting I would either head for a fizzy drink like coke-cola and hope that my thirst is cured. If it’s not then I’ll end up munching at a whole packet of maoam which is definitely not healthy nor suitable to my diet. Now I make sure that I always have a big bottle of water on me or if i’m chilling at home a green tea. It helps to fill the gap between meals and allows you to know whether you’re actually hungry or not. Drinking water also helps to encourage motivation and refresh your mind to prepare you for your daily activities. Water is actually really beneficial physically and mentally, what’s better than that? Secondly I like to refresh myself and plan ahead for the week. I’ll start by looking over previous meal plans and recipes before deciding what I want that week. Once I’ve looked over these I’ll head to my notebook and write myself a meal log for the week to help me stick to it. I find this is probably the most motivating thing to do when I’m struggling to get back on my diet. 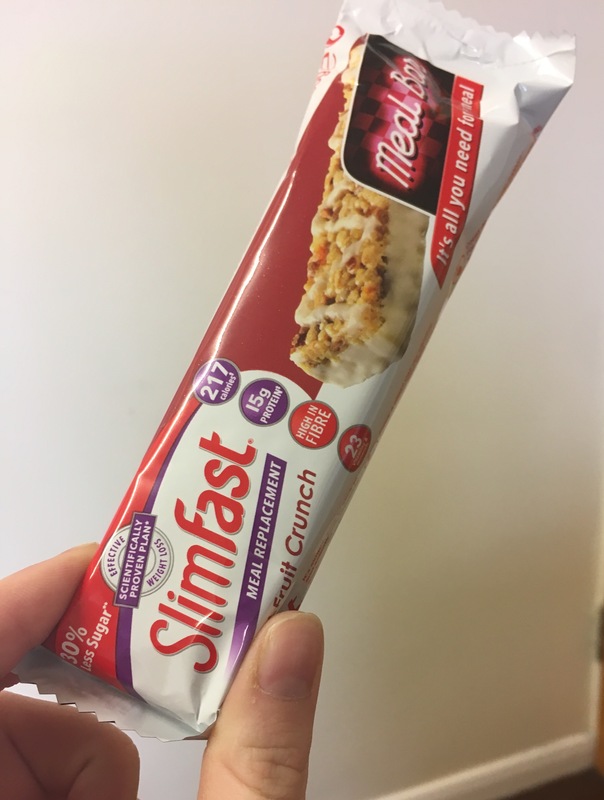 I’m following the slimfast diet and I’m really enjoying it, so I’ll head over to the slimfast website and look through their weekly menu’s to choose which I want to do that week. Once printed I tape it to the inside of my food cupboard or above my computer to keep looking at to remind myself what I’ll be eating and this helps to make good food choices. Finally, I distract myself. Read a book or play a game, even do some household chores. I find distractions the best way to stop me thinking about food. Right now I’m writing this blog post in hopes to waste a fair few hours before my next meal and it’s actually working. I find that if my mind is distracted it’s unlikely that I’ll be thinking about my next snack of meal and eventually it’ll be time to eat and I’m really thankful for the distractions I need to help me get by.